- Lcd display screen with blue blacklight. - 2.4l bowl with extra large feeding tube. - 1.6l blender and steam jug. 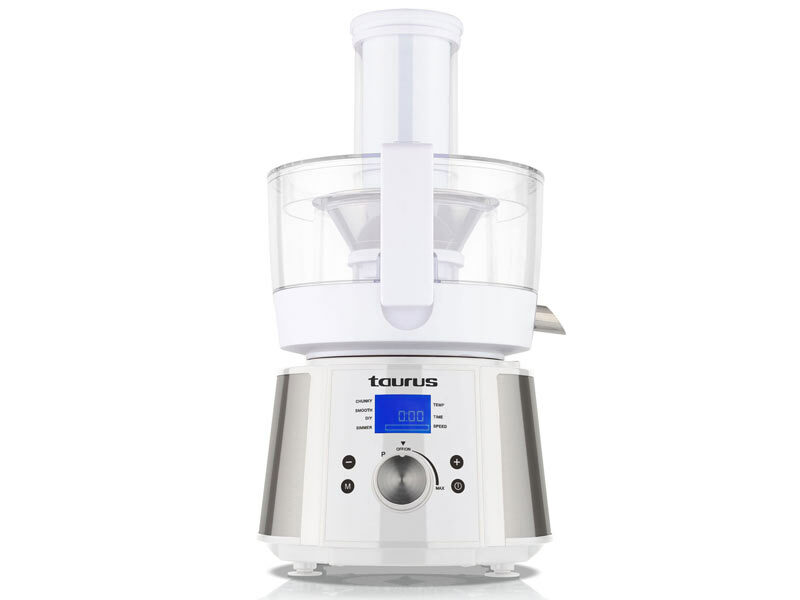 Taurus presents the Processador de Cuinar food processor. Modern design meets functionality in this wondrous kitchen appliance makiing it a must have for every home. It has a stunning LCD display with Taurus’s trademark blue backlight. The Processador de Cuinar has a massive 2.4L bowl with extra-large feeding tube and a 1.6L blender and steam jug. ||Attachments included: Plastic egg steamer, citrus juicer, juice extractor, stainless steel whisk, spatula and three slicing discs. - Chopping, shredding and slicing blade.